Although Apple’s success is on the rise, Google Android proves that iOS (s aapl) isn’t the only game in town, as it is the common thread among companies such as HTC, Motorola(s mmi), LG, Samsung and Sony Ericsson(s sne)(s eric), all of which have shared financials this month. Even though Android adoption has helped all five companies, it’s clear that those who embraced Android fully and early on have reaped the biggest benefits. One of the first handset makers to shift over to Android was HTC, which was previously known primarily for its Windows Mobile phones. As Microsoft’s (s msft) platform fell behind that of iOS and Android after 2007, HTC needed a new operating system and Google’s Android was the perfect fit. 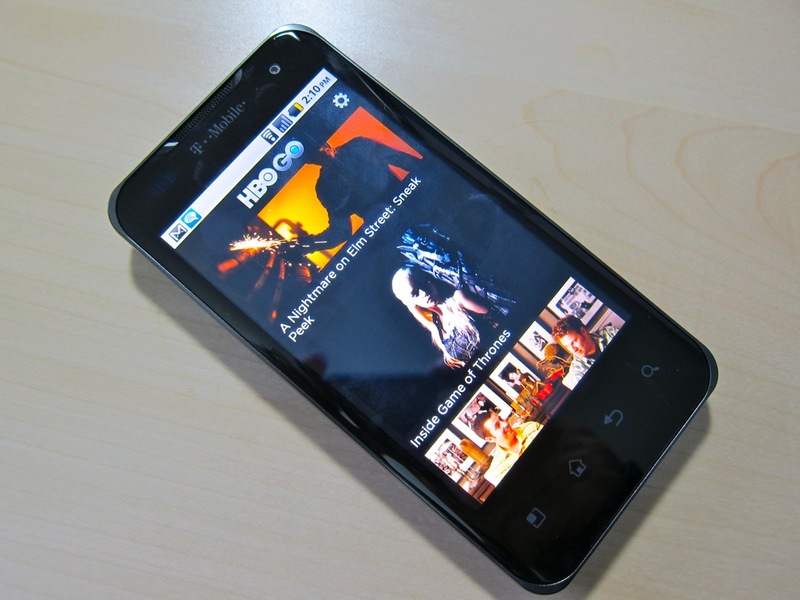 HTC made the very first Android phone, the G1, and never looked back, building dozens of mid-tier to high-end handsets using Google’s platform, such as the Nexus One, EVO 4G, G2, and upcoming Sensation 4G (shown). What have these phones done for HTC’s financials and sales figures? The company today reported record revenues and net profits, with sales of 9.7 million smartphones; a 192 percent increase from the year ago quarter. Operating margin is on the rise at 15.8 percent as is the average selling price of an HTC handset, now at $359, or 6 percent higher than in the first quarter of 2010. Android really began to take off with version 2.0, spotlighted on the original Motorola Droid handset and combined with Verizon’s marketing muscle in the fall of 2009. Multiple Motorola follow-ups arrived, some hits like the Droid X and Atrix 4G, and some misses such as the Cliq and BackFlip. 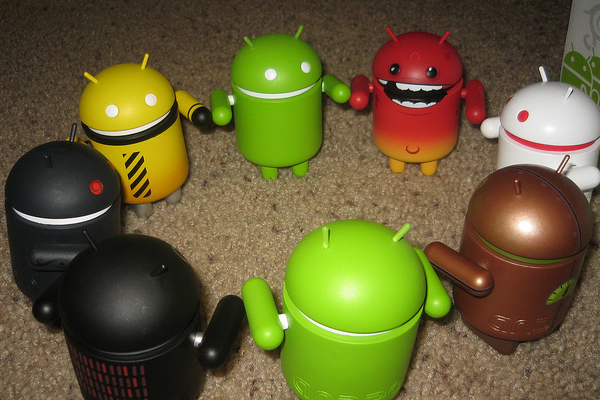 But Android helped Motorola migrate from its RAZR, feature-phone days over to smartphones. 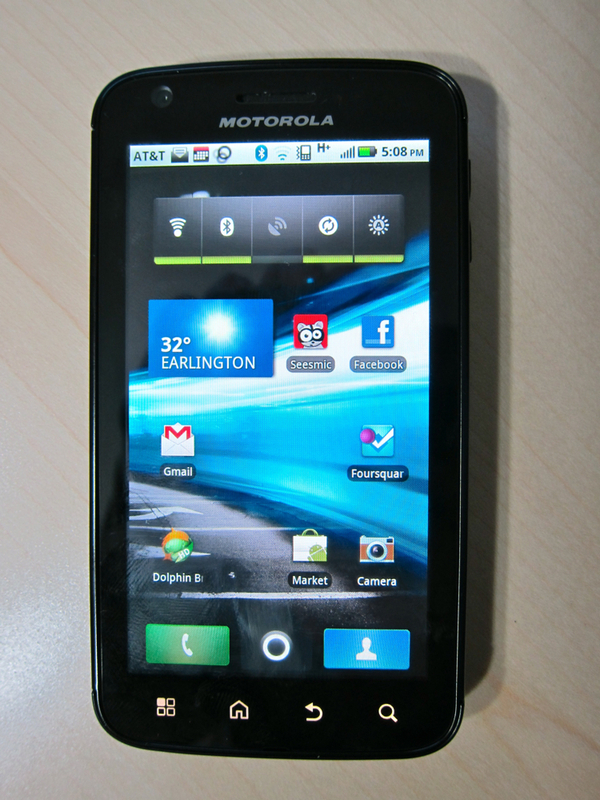 The mobile division was also spun off from the main Motorola company last year, awash with cash and without any debt. In the first fiscal quarter of 2011, Android helped Motorola ship 4.1 million smartphones or nearly double the 2.3 million it sold in the prior year quarter. Those sales figures for more expensive handsets reduced the company’s first quarter operating loss to $89 million vs a $212 million loss in the same quarter a year prior. Embracing Android too early can come at a cost though: although Motorola was the first to offer a Honeycomb tablet, sales estimates are low. The company says 250,000 tablets were sold in the first quarter, but that figure is to carriers and retailers; not to customers. Samsung waited until last year to enter the Android market, but it made a big splash with the Galaxy S line of devices, selling 10 million around the globe. The company took an Apple-like approach by designing a single device (with carrier variations) instead of a wide portfolio of different handsets. The biggest downside came in the form of Android updates, which took time to get through carrier testing and into consumer hands. Hopefully, that situation doesn’t repeat itself with the new Galaxy S 2, which the company will roll out to 140 carriers in 120 countries. 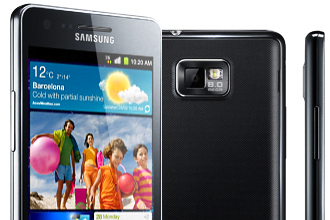 Samsung sold 70 million handsets in the first quarter of 2011, which sounds high, but is actually a decline. However, the percentage of smartphones sold increased to 18 percent of sales, up from 4 percent just a year ago. The higher price of smartphones offset the decline in overall handset sales, allowing Samsung to earn 1.43 trillion won (US $1.33 billion) in operating profits. 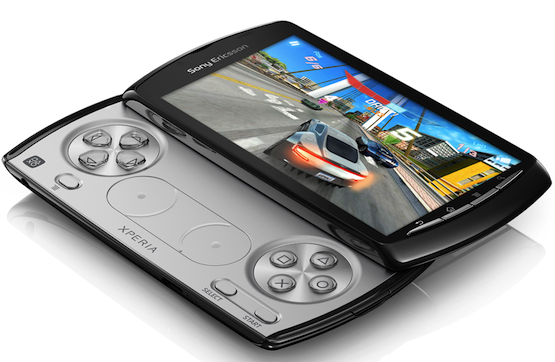 Is Sony Ericsson Finally Ready to Play for Real? Sony Ericsson launched its first Android handset, the Xperia X10, in March of 2010, but used Android 1.6 instead of the most current, and much improved version. It took more than 6 months for the company to update the operating system and it only offered a few other Android devices during that time; mostly variations on the same theme. As a result, the company hasn’t yet benefitted from Android as much as other manufacturers, although that could change with the Xperia Play, which adds Sony PlayStation game software and controls to the handset. As the No. 3 handset maker in the world, you’d expect that LG would have embraced Android for high-end phones sooner rather than later. That wasn’t the case. The company’s first use of Android came in late 2009 with a low-end device called the GW620. Here in the U.S. LG’s best Android seller of 2010 appears to have been the Optimus: A solid mid-market handset available on major carriers as a pre-paid device. It’s only lately that LG is competing with others in the high-end. The Optimus 2X impressed me in January and just today I received the T-Mobile version, the G2x, for review. This slowness to transition to higher end Android phones has hurt LG’s performance, and the CEO of its mobile device devision resigned in September as a result. My few hours of using the G2x tells me the company is now on track, which is good because handset shipments declined 20 percent from the prior year. With few high-end devices to sell, LG couldn’t offset the sales decline with a higher average selling price and profits dropped 14.3 percent. Without Android, I have little doubt that each of these companies would be worse off because there isn’t a compelling alternative platform for them to use. The sole exception may be Samsung’s own Bada platform, which is doing well. And it’s evident to me that while Android is helping all of these handset manufacturers transition away from feature phones, the ones who do so sooner, or with more vigor, have benefitted the most. Didn’t the author write earlier that LG was going to look into Meego? If LG and Samsung have development plans using other OSs, does that mean they want an alternative to Android that gives them an option to avoid becoming a commodity hardware vendor? That’s pretty much exactly what it means: even as many are adopting Android to help in the transition to smartphones and boost revenues, some are thinking ahead on how to stand out from the pack in the future. But Samsung’s play might be better than LG’s. Bada is Samsung developed and will likely only be on Samsung devices (like iOS on Apple handsets) while MeeGo is similar to Android in that any company could theoretically use it. Thanks. I agree with the reply re Bada vs Meego, but if LG is the only major vendor using the latter (I don’t keep up on Meego), is it enough to distinguish itself from all the other Android builders? Agreed – if LG is the top vendor using it and MeeGo is successful, then it could help. My concern in that situation: others will simply adopt it and negate LG’s advantage — unless somehow LG can buy/own/control it, which I don’t think is likely. Should be interesting! i said i have no vested interest for adobe/flash and i am no developer, just a gadget enthusiast. just don’t say its irrelevant when it is relevant to me. Legacy technology is relevant to a few also, doesn’t mean it’s relevant in the broader market. Utterly delusional reporting. Apple is winning everything and now everyone wants the white one. Another mindless zombie for steve job. As a gadget enthusiast, I hoped every companies do well and it would be a win win situation for all companies and definitely consumers. That’s just so funny on so many levels considering your (and Beladaci) blind devotion to Adobe/Flash. Educate myself about what? Old, outdated, proprietary tech? Legacy tech just waiting to die? Na. Think I’ll concentrate on the new stuff. The future. Can understand why you’re so desperately holding on though, you have a lot invested but so did the buggy whip manufacturers. Oh Please not another mindless zombie for steve job. Who are you to decide what is ‘almost irrelevant’ when it is more than relevant for me on my Dell Streak and PC surfing news and youtube sites everyday. so PXLated, come clean on why flash is “almost irrelevant”? and none of that crap about battery/cpu hog and stability when it works perfectly fine on my Android 2.2 Dell Streak. auststreaker – It’s dead because no developer in their right mind will recommend using it and ignoring the millions of iOS & android devices devices out in the market. 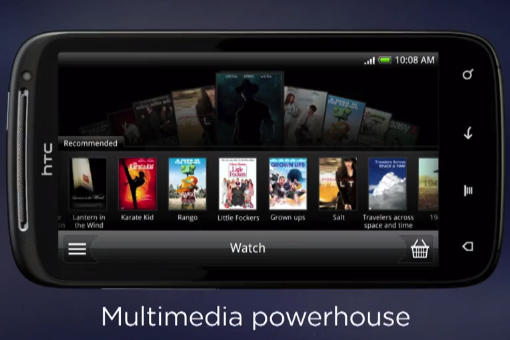 It’s no longer needed for video (the largest segment that used it) and apps or html5 will replace it in other areas. So, yes, it won’t be “gone” tomorrow but it is like legacy tech (serial ports, floppies, etc) that just take time to fade away. We will prevail pixel delated, get over it. In the meantime anyone willing to join the fight is welcome to follow my twitter, http://www.twitter.com/flexengineer, we will start taking action in the streets and the media around summer.